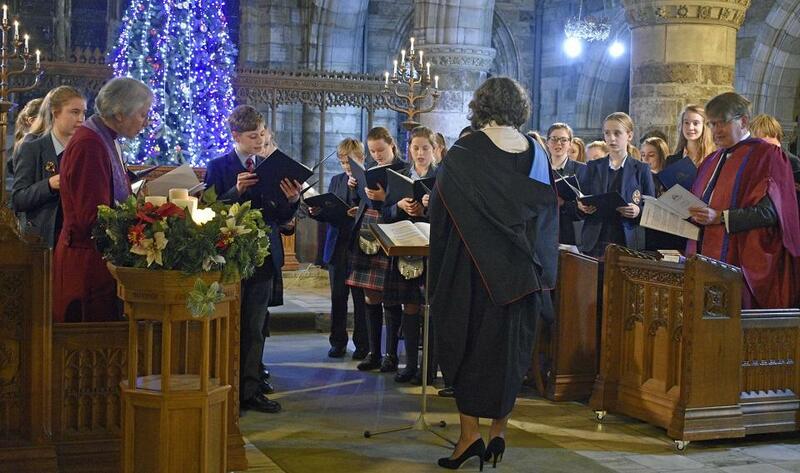 On Wednesday, 12 December pupils and staff set off along South Street in St Andrews to Holy Trinity Church for our annual Senior School Carol Service. With a sparkling tree by the communion table and lights strung above the ends of the pews, it was a magical setting for our festive gathering, and a perfect opportunity for the whole St Leonards community to come together. Thank you to all who attended the beautiful service, to the readers, our superb choir and soloist Ben, who opened proceedings with the first verse of ‘Once in Royal David’s City’, and to all in the Music Department. The retiring collection was divided between the work of Holy Trinity Church and Childreach International. We wish all our St Leonards families, staff and the wider community a very Merry Christmas and best wishes for the New Year!